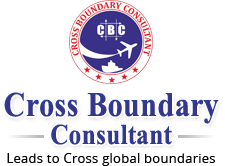 We are a well-known Overseas Recruitment Consultant in Lucknow, Uttar Pradesh. With our efficient resources, we provide reliable Overseas Job Recruitment all over the world. As we are a trustworthy Overseas Services Provider, we offer our candidates satisfying jobs in abroad. We make sure the entire procedure is executed in a transparent manner. We are exclusively teachers recruiting agency for Gulf countries. Our Consultants interview candidates and check them of different parameters to find out, that they fit all the requirements of the recruiting organization. We offer our services in a feasible manner to the clients at an affordable price.